Mercury chelation has been a controversial subject for a long time. Chelation therapy is basically a process of using certain chemicals to remove "heavy" metals from the body, such as mercury or cadmium. Mercury chelation is just one of the possible treatments. But chelation therapy has gained a bad name in some circles, because some doctors have recommended it for treatment of autism, heart disease and other disorders that do not have a definite and undisputed link to heavy-metal build-up in the body. So let's look again at what chelation therapy ACTUALLY DOES DO. It is a way of flushing out an accumulated build-up of "heavy" metals from within the human body. THEREFORE, it is logical that full-on medical-grade chelation therapy should only be used in patients who have an established and proven ALLERGY to a heavy metal, such as mercury - this is quite rare - OR for someone who has had an accidental overdose, such as in an industrial accident. Before thinking about trying to flush out any mercury in your body with potentially dangerous chelation chemicals, IT'S IMPORTANT TO ELIMINATE THE SOURCE. This is extremely important. There is no point in trying to flush out accumulated heavy metals from your body if you are still exposed to a source which is constantly adding to the heavy metals you already have. Think of it like a sinking ship with a hole. Pumping OUT the water may slow down the sinking, but the real solution is to STOP MORE WATER GETTING IN! THEN you can pump out the water, and eventually remove all the water from inside the ship. For mercury toxicity, it's extremely important to eliminate any more mercury getting in, before trying to "pump out" what's already in the body. 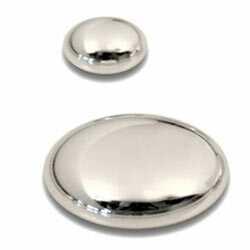 Make sure you read about the potential sources of mercury at Mercury Toxicity. OK, so you have checked ALL your possible sources of mercury, and eliminated them as far as possible. The NEXT thing on your list should be thinking about Amalgam Filling Replacement. AFTER you have eliminated all the possible sources of mercury, and you are still worried about mercury in your system, it's reasonable to think about ways to remove the mercury. The simplest way of binding up and gradually removing the mercury from your system is to take SELENIUM SUPPLEMENTS from Amazon. Selenium is a trace element that has a moderate chelating effect. It's not as powerful as full-on medical-grade mercury chelation agents, but for most people, it will be enough - and it has far fewer risks when compared to medical-grade mercury chelation chemicals! Selenium molecules bind VERY STRONGLY to mercury compound molecules, carrying the mercury through your system, and it is then excreted in your urine. Because the effect is moderate, you need to take Selenium supplements every day for a period of six to twelve months. But if you have MEDICALLY-DIAGNOSED mercury poisoning, you will probably need full-on medical-grade mercury chelation treatent under the direction of a doctor.It sounds great, mobilising all that mercury from the various organs in your body, but there are potential problems here, too. Chelation therapy has side effects, and can be dangerous. YOU MUST PROCEED SLOWLY AND CAREFULLY. The best chelating agent is called DMSA, and is only availble on a doctor's prescription. It is approved by the FDA in the United States. It is taken by mouth in tablet form. It should only be used under close medical supervision by a suitably qualified and experienced medical doctor. 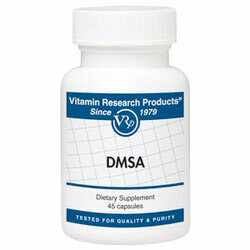 DMSA may also remove beneficial minerals from your body. It is advised to take high-quality vitamin and mineral supplements BEFORE and DURING chelation therapy. DMSA should not be taken every day. For the most efficient removal of mercury, it is advised to take it for 3 days, then NOT for another 11 days. Then repeat the cycle. How long should you continue with DMSA mercury removal therapy? until regular urine tests show that the levels of mercury being excreted have fallen significantly. Urine measurements should be performed on the first urine specimen of the day, which would be the most concentrated, or (preferably) on a 24-hour urine specimen. This is the only accurate way of measuring mercury! Mercury chelation therapy is only one part of treating mercury poisoning. If you are free of any symptoms, then simply eliminating the sources of mercury in your life and taking SELENIUM SUPPLEMENTS will probably be enough to start reducing mercury levels in your body.Full-on medical-grade mercury removel should be reserved for cases of serious, acute poisoning (ie. an industrial accident), or cases where there are clear symptoms of a chronic mercury poisoning.